ElizaJ: Do I Need a Portable Restroom Attendant at My Event? Do I Need a Portable Restroom Attendant at My Event? Brrr! Temps here on Cape Cod were hovering around zero this morning, with the wind chill way below that. So, what better time to dicuss the finer points of portable restrooms? Actually, it's a great time for these discussions. Although we're in the off season here at ElizaJ, this is the time of year when people start booking services for their spring and summer events. Brides, event managers, caterers, and all the other folks in need of portable restrooms are starting their research – and we would like to share our 40+ years of experience to help you ask the right questions. #1 Do I Need a Portable Restroom Attendant at My Event? I am asked this question a lot. Although it seems like hiring an attendant could only be a good thing, my answer (no) surprises many of my customers. But before I say no and move on, I begin by asking my client a question in return: "Do you need to spend extra money just for a person to check on supply and demand?" When I see the lightbulb go on, we talk about what an attendant's job really is – which is to restock and monitor. I have provided very few attendants for my clients (which is more than 1,000), because they really are unnecessary if you're working with a reputable company that's done their leg work. An attendant is a novelty. All units should be fully stocked with everything needed, and then some. In addition to toilet paper, paper towels and soap, a portable restroom is worthless if it's delivered in anything less than perfect working order. 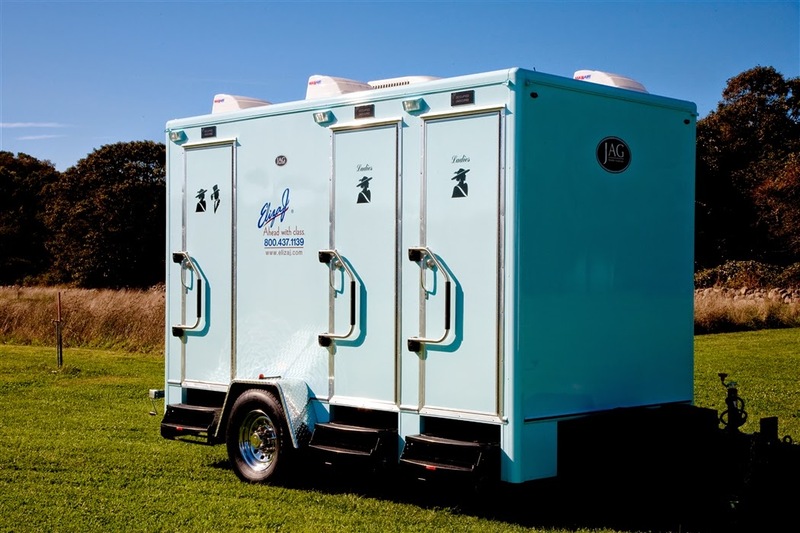 We always deliver our portable restroom trailers and free standing units to the event site personally, making sure we have shown an onsite contact person how they work in the off chance that a problem should arise. If it ever does, we're available 24/7 to come fix the issue, at no additional cost. So when does having a restroom attendant make sense? There are some large scale events where the usage is much heavier, such as a pro tennis or golf event. For example, during the Best Buddies events (Go, Team Tom Brady! ), when most of our portable restroom trailer units are on site, we stay on hand just to make sure everything runs smoothly. But we don't charge a fee for that service. We view it as a courtesy and good professional practice. In a nutshell, having a portable restroom attendant sounds nice, but you probably don't need one. And if you're anything like the rest of our clients, we're pretty sure you can find a better use of your event budget. More champagne, anyone? p.s. In our next posts, we'll explore more questions you should ask a portable restroom pro, including how to get the real answers about their industry experience and reputation.